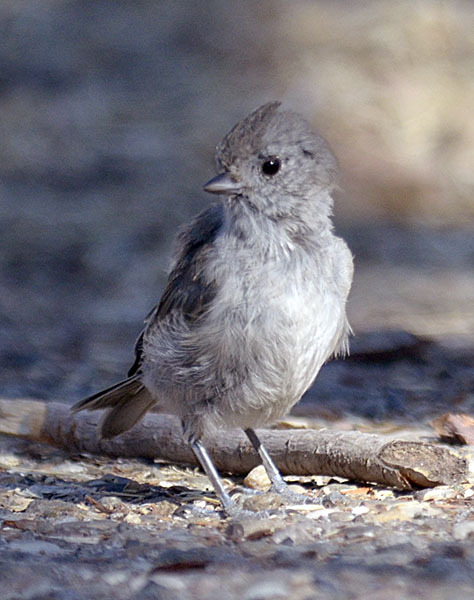 Bushtit #15 - Small flocks of Bushtits are common in the shrubbery of the park. 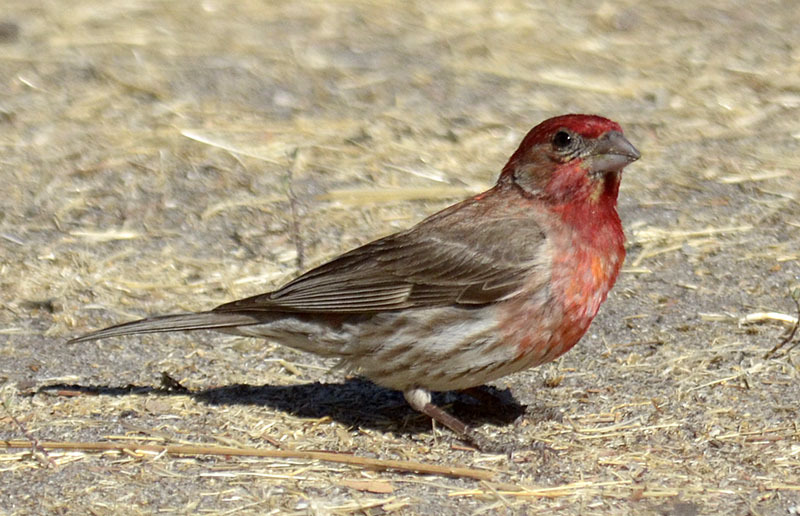 House Finch #9 - House Finches are common in the campgrounds and picnic areas. 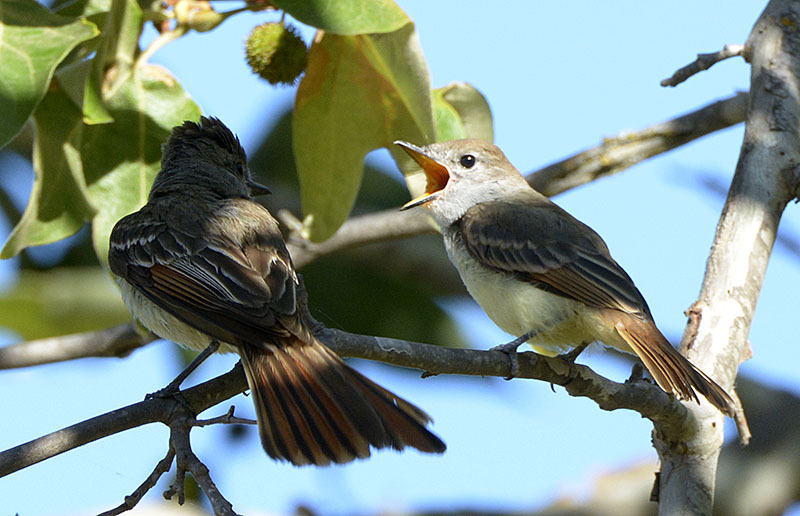 Ash-throated Flycatcher #7 - A parent feeds a fledgling. 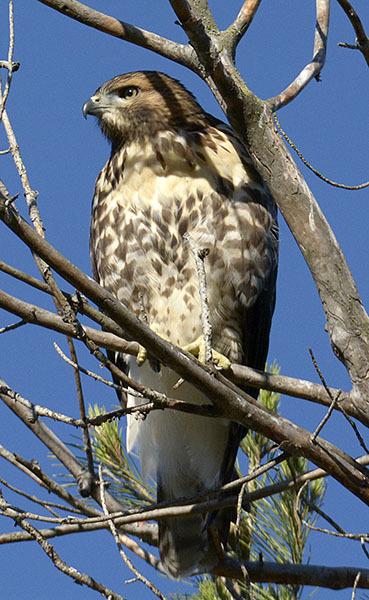 Red-tailed Hawk #19 - Scanning its domain from the top of a tree. 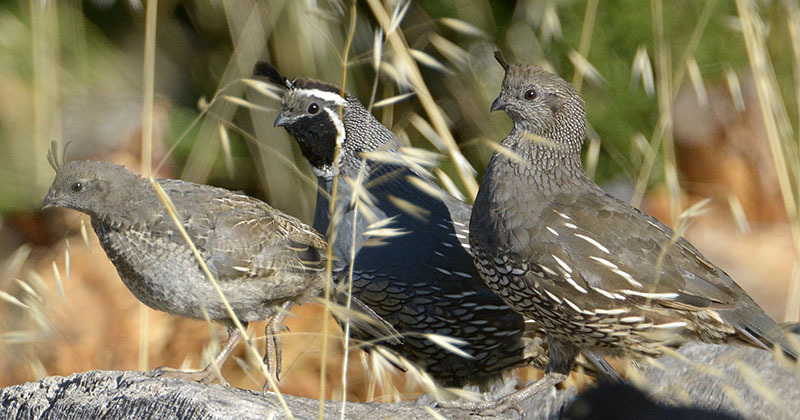 California Quail #6 - A very common bird in the campgrounds and along parking lot edges. 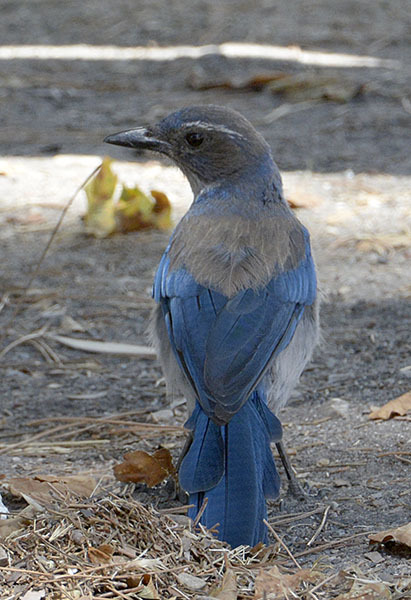 Western Scrub-Jay #17 - Also very common in the campgrounds and picnic areas. 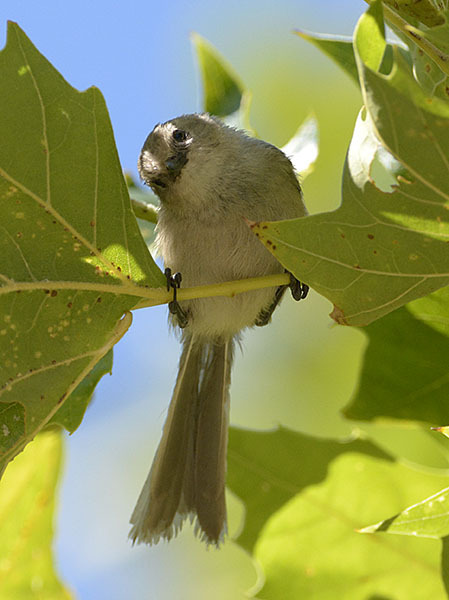 Oak Titmouse #8 - Taking a break from foraging near a picnic table. 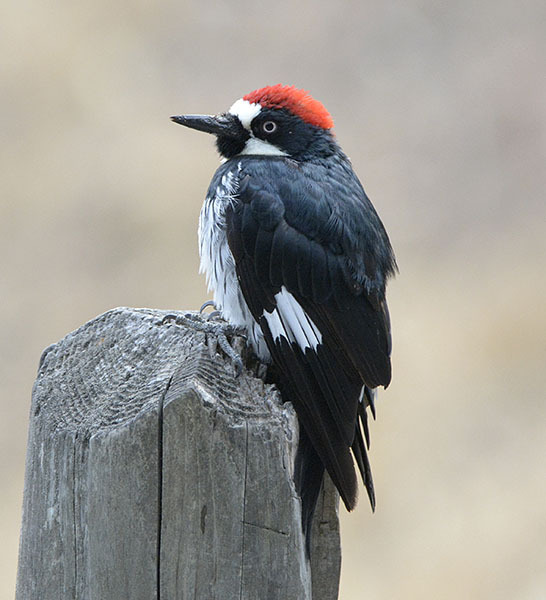 Acorn Woodpecker #10 - Another common bird of the park. 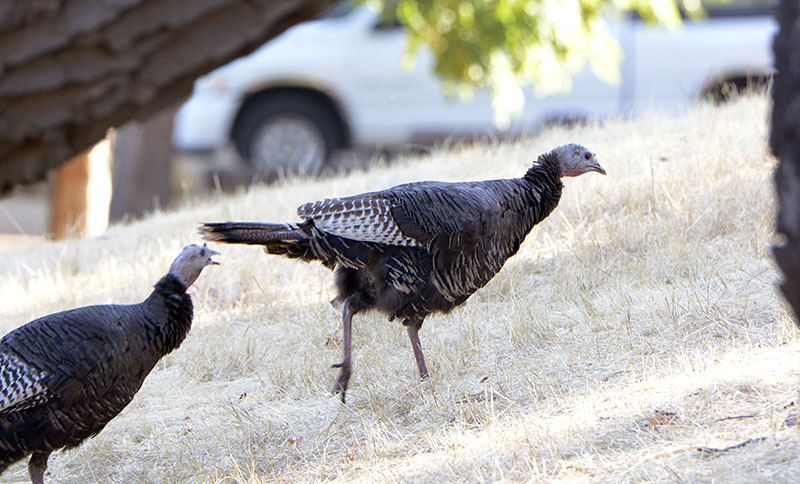 Wild Turkey #16 - Lake Lopez is known for its tame "Wild" Turkeys, which allow close approach for photography.